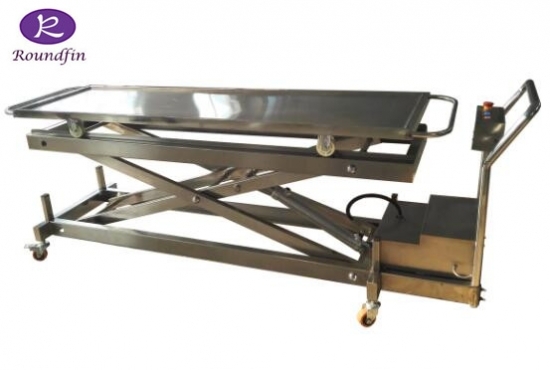 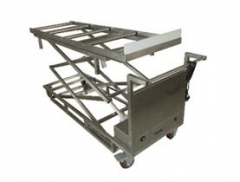 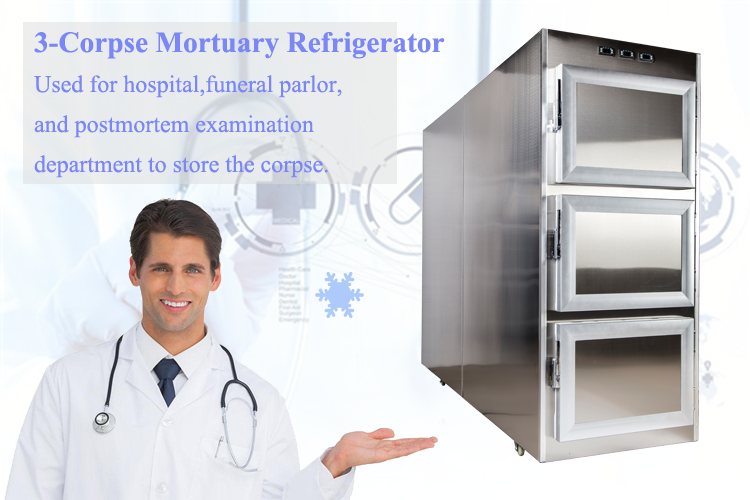 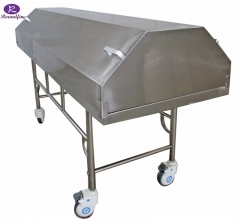 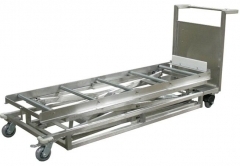 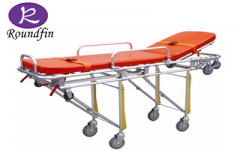 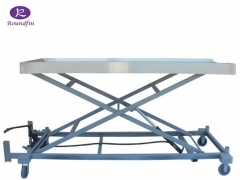 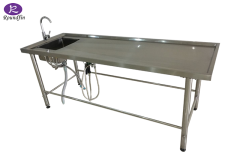 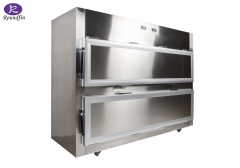 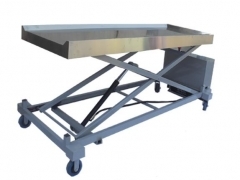 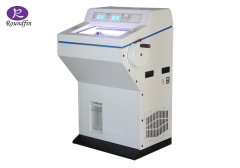 Stainless steel morgue body lifter, it is in electrical model. 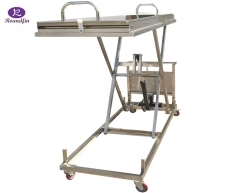 ---Lifting the height by electric from 500mm to 1600mm adjustable. 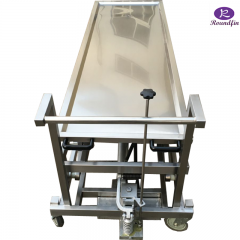 ---With the charger, after the charging, the lifter can be continuous worked more than 36 hours.